What Radar is this behind S-300V tracked vehical .. on a tracked platform looks something new. Austin wrote: What Radar is this behind S-300V tracked vehical .. on a tracked platform looks something new. You do know S-300V system has 3 radar sets unlike S-300P! Of the three radars visible, the biggest array is the BILL BOARD EW radar. The other two are GRILL SCREEN and HIGH SCREEN. There are actually six vehicles here: the three radars, a 9M83 TEL, a 9M82 loader/launcher, and the command post vehicle. Thanks SOC , So the foldable squarish radar is the Bill Board EW Radar . hmm that 350 km should corresponds to the larger 9M82M variant... Any info on the 9M83 one ? It says 130km for the smaller missile from the link Austin provided. i missed it..thanks for showing. So this make S-300VM "solely" long range SAM's..wonder if they'll integrate some self defense like 9M96's. Stealthflanker wrote: i missed it..thanks for showing. Stealthflanker wrote: So this make S-300VM "solely" long range SAM's..wonder if they'll integrate some self defense like 9M96's. For that role you have BUK. Eventually BUK may be armed with 9M96 class (in some combination) but BUK itself will not change. As Victor mentioned above, the Army has BUK to fill the medium range gap. The main purpose of the 9M96 was to add numbers of missiles to the S-300 by making them smaller and shorter ranged, the new BUK launchers seem to be adding new full sized missiles to increase its capacity to engage larger numbers of targets... ie possible swarm attacks. The thing is, however that the Hermes and the SA-22 are unified missile systems, which suggests to me that in the future they could combine the terminal guidance of the Hermes missiles using MMW radar and/or IIR seekers of the ground attack models to make them dual use weapons that can also be used against aircraft. The models of Hermes with the heaviest rocket booster shown will have a ballistic range of about 100km so a truck mount system with 40 tubes (shown on the KBP website for the Hermes) that looks a lot like a GRAD vehicle could potentially be loaded with IIR/MMW radar seeker missiles and used to engage aerial targets out to 80km or so just to boost numbers if needed. The reason being that I can't see the Russians needing a truck with 40 missiles ready to fire except to stop a numerically stronger ground force... say NATO or China, whereas having that number of ready to fire missiles to stop a NATO cruise missile attack could be rather valuable. 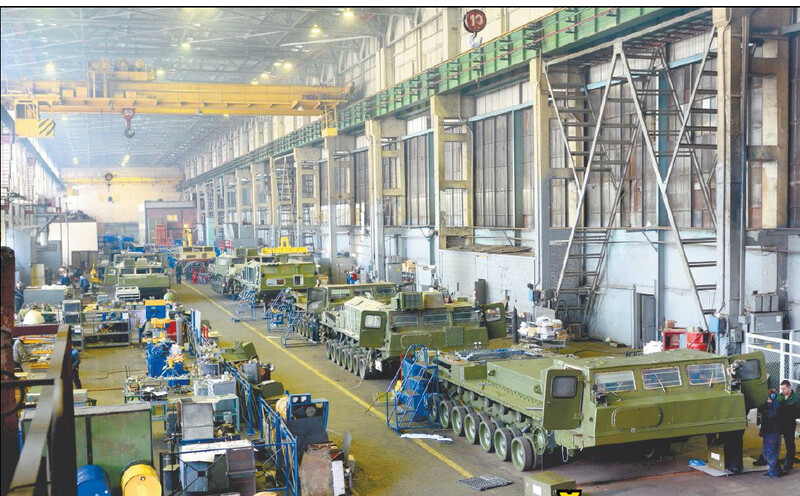 Here is a small picture of S-300V4 production. It was quite some time ago, when Almaz-Antey announce to start production of S-300V4. So there is an interesting question, when will be the first units delivered. There are only two pictures from production that Im aware LINK. No word about S-300V4 has been mentioned for almost a year. Well no matter text is all about tanks there is an interesting info in there about S-300V4. New S-300V4 missile brigade or brigades will be bought during 2014 !!! As of today, the rearmament of ground forces within the state armaments program until 2020 is planned to allocate 2.6 trillion rubles. This money will be spent on the purchase of air defense missile brigade S-300V4, about 2 thousand self-propelled artillery systems and guns, as well as more than 30 thousand units of motor vehicles. Moreover, the Russian army should get seven years 2,3 thousand tanks. Including tanks on the platform "Armata". 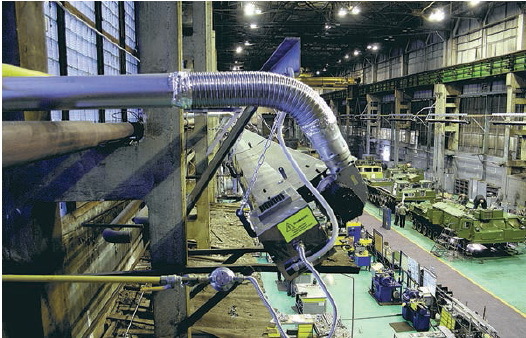 On its basis UralVagonZavod creates the main tank to replace the existing fleet in the military T-72, T-80 and T-90. Contract value = 95 million $. Delivery set until the end of 2014. Leonov also said that the Army in 2014 will receive the latest anti-aircraft missile system, long-range S-300V4. "Next year, anti-aircraft missile system adopted long-range S-300V4 arrives in one of the military districts, - he said. - It is the anti-aircraft missile brigades armed with such systems, our troops entrusted with the tasks of the defeat of the elements of precision weapons in long-range flight, and in the defense area objects against ballistic targets. " According to Leonov, "this system provides intercept warheads medium range ballistic missiles, has increased the range of the engagement of air targets and extended to two or three covers of air strikes the area." "Thus, in the battle of the air defense forces of the county will include anti-aircraft missile brigade-range, having armed hypersonic anti-aircraft missiles, which, while maintaining the quality of mobile military system has the characteristics inherent in the system to intercept short-range", - he stressed. S-300V4s haven't been delivered yet? George1 wrote: S-300V4s haven't been delivered yet? Russia plans to have 9 S-300V4 brigades by 2020. That includes modernization of 4-5 S-300V brigades up to S-300V4 standard and buying 4-5 new S-300V4 brigades. As far as I know there is one contract for one new S-300V4 brigade up to 2016 but obviously new contracts will be or already are signed. 600 of this big missiles is a serious thing that has serious impact on the Russian security. Production of S-300 is going to be stopped in 2015 in favour of S-400. Nonetheless, the sub-components of S-300 will be still manufactured for export. 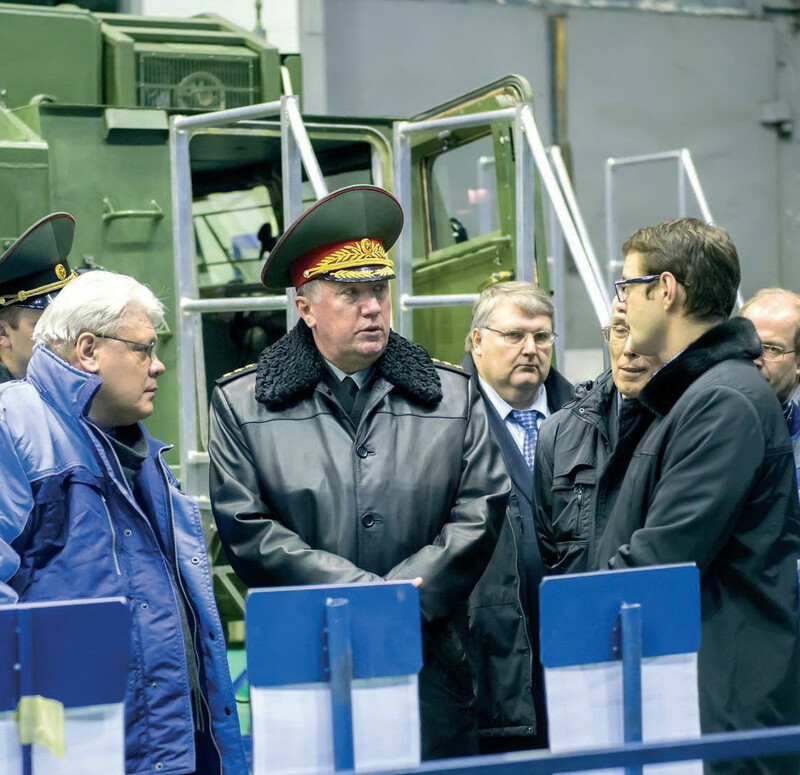 Export of S-400 will begin from 2016.
brand new and the rest modernized to V4 lvl. are btw non-operational units in Army PVO - smallest ones are regiments) and many more upgraded ones. C-300V4 has increased combat capabilities, achieved through the introduction of new components, the use of advanced components and computing facilities. Last year, the Russian Army had three divisions of S-300V4. Another three battalions to be delivered until next year. 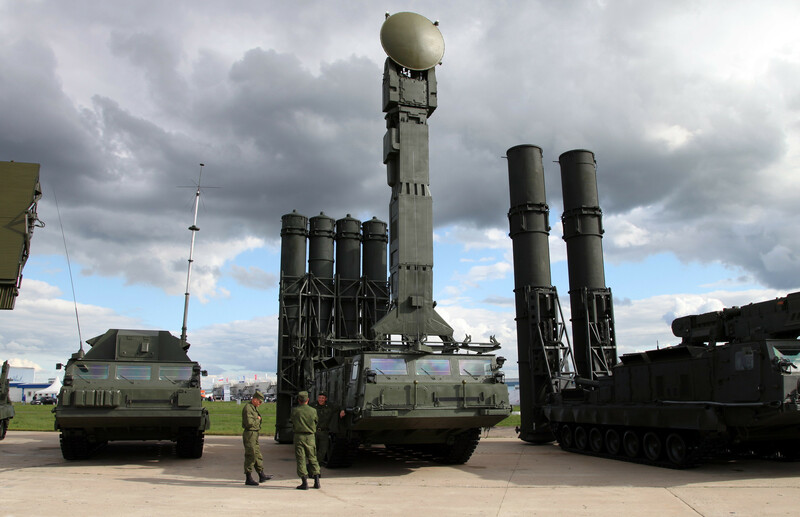 In addition, all S-300B were upgraded to C-300V4. "During the development of weapons systems of air defense forces of the Land Forces in the current year it is planned to complete the modernization of the system S-300V to the P-300V4, - he said. - Also signed a government contract to supply new air defense missile systems S-300V4." "Ground forces will get the updated S-300 systems. Long-term contract has been entered into in accordance with it Concern "Almaz-Antey" by 2019 will deliver 24 combat divisions of S-300. The first three divisions missile systems S-300 will go on part of the Southern Military District. Production and delivery of these complexes to the troops made the first time after a long break, "- said the channel" Star "on the new C-300V4. (ZRS) S-300V4, tactical and technical characteristics are in 1.5-2.3 times higher than the capabilities of the previous modification (S-300V3) . It seems new S-300V4 chassis are done and as scheduled Russia will receive brand new 350km range S-300V4 missile system.